Great choices need good decisions. Bigger cities come with big dreams and hence, people come in these glorious places with great desires and expectations. Noida is such a destination where dreams come true and the place is rich in providing extreme comforts and superb facilities to its residents. Noida is the city of dreams and is a land of unlimited opportunities. This is one of the most important parts of National Capital Regions and is established especially for commercial activities. As its full form suggests, New Okhla Industrial Development Area, the region shows the best of employment opportunities and different types of growing industries. People who are seeking employment can get the required jobs here. Noida has the presence of IT industries, automobile sector, BPO, small and medium scale industries, production units, handloom factories and other sources which are offering here a large number of job opportunities. In Noida, the transportation system is very advanced and developed. Delhi Metro is improving here the connectivity and hence, residents here can travel seamlessly throughout anywhere in the entire National Capital Region. Young professionals who are engaged with the leading multinational companies and making their careers here are constantly choosing here the finest sources of modern living. As Noida is quite reasonable and affordable in terms of quality housing and standard living, professionals attached with the leading MNCs in Gurgaon and Delhi are also selecting here the living spaces in the quality residential development and apartment complexes situated in Noida. 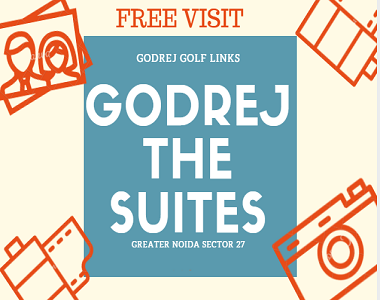 Located near Pari Chowk and has the proximity to several exciting places and useful resources in Delhi-NCR, Godrej the Suites is a glorious construction in Greater Noida. The development is fully-equipped and loaded with modern resources and useful facilities which are required for a sophisticated urban lifestyle. The stunning 2 BHKs available here truly fabulous and have fantastic interiors. The buyers can feel here amazing by enjoying the supreme comforts and top-notch specifications in these premium homes. The living rooms in these apartments contain television sets, dining table, sofa set, and center table and many other fixtures. 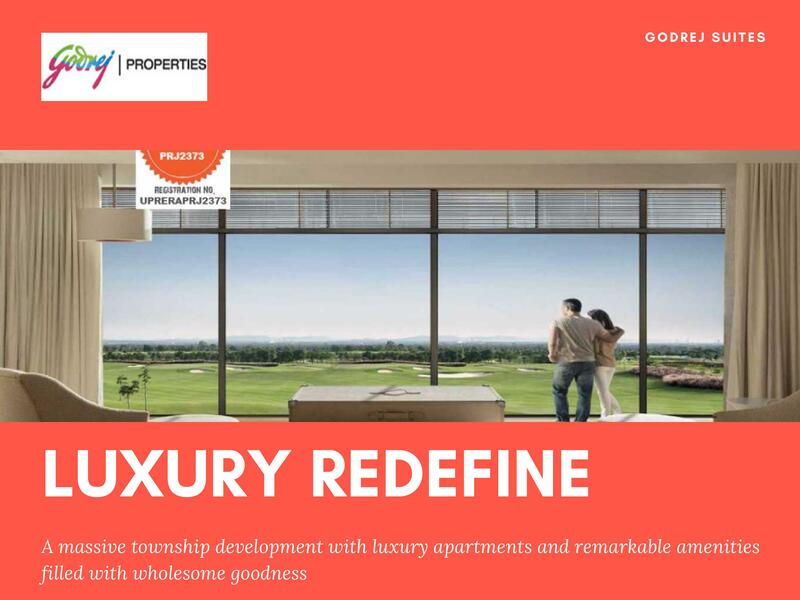 Bringing close all the advanced infrastructural facilities and modern resources, Godrej the Suites Noida is well-connected to Delhi Metro, domestic and international airports and many other useful places in NCR. Luxuries that are capable to serve you an electrified lifestyle are all available here. Some of the major amenities include a large swimming pool, clubhouse, badminton court, restaurant, sky lounge, gym and much more. 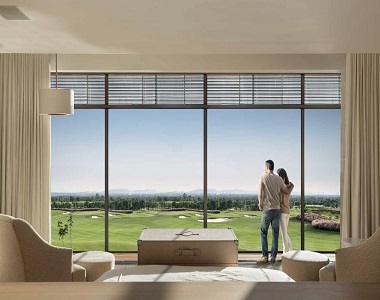 Buyers looking for a revolution in modern lifestyle can select the dream homes in Godrej the Suites Greater Noida which are available in wonderful prices range from Rs. 42.50 to Rs. 92.10 lakhs.